-A summer day camp program focusing on building social skills and self-esteem within the context of structured recreational activities. 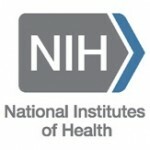 -The Autism Biomarkers Consortium for Clinical Trials (ABC-CT) is a multicenter research study based at Yale that spans Duke University, Boston Children’s Hospital, the University of Washington/Seattle Children’s Research Institute, and the University of California, Los Angeles. The aim of the consortium is to develop reliable and objective measurements of social function and communication in people with autism. 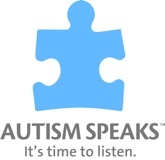 -Autism Speaks has grown into the world’s leading autism science and advocacy organization, dedicated to funding research into the causes, prevention, treatments and a cure for autism; increasing awareness of autism spectrum disorders; and advocating for the needs of individuals with autism and their families. -Gain in-depth knowledge of autism spectrum disorders from both a scientific and practical perspective. -Information on CHD8 Gene Mutations..
-The UW has established the Mentoring, Organization and Social Support for Autism Inclusion on Campus (MOSSAIC) program to support the growing number of students with autism spectrum disorder (ASD) on campus. MOSSAIC uses an empirically supported intervention strategy (peer mentoring) to provide organizational and social support to help UW students with ASD and related challenges reach their individual goals (e.g., navigation to campus resources, assistance with time management strategies and tools, strategies for communication with professors or partnered/group work, etc.). -UW PCE offers a three-course certificate program that provides in-depth knowledge of autism spectrum disorders from both a scientific and a practical perspective. -Assessment, diagnosis, treatment, and support for autism spectrum disorders. Working to provide complete and coordinated care. -The SCAC Provides many services, including the Alyssa Burnett Adult Life Center, Biobehavioral Programs, and the new Rare Autism-Related Genetic Consultation Clinic (RARE). For more information families should call 206-987-8080. -Supporting individuals and families affected by autism spectrum disorders through exceptional clinical services, innovative scientific research and high-quality training.